My goal for the next 12 weeks is to get fitter, lose some weight and body fat while maintaining as much muscle as possible, doing as little cardio as possible and eating as much as possible so my body doesn’t go in starvation mode or metabolism adaptation. I will be reverse dieting until I reach the highest possible daily calories that I can hold while still managing to achieve this goal. Here’s my recap for week 10. 5x HIT sessions with Freeletics Bodyweight. 3x workouts with Kayla Itsines Summer Sweat Series Week 3. 2x weight training workouts with Freeletics Gym. I attended a conference this week from Monday until Wednesday so I was time restricted when it came to workouts but I managed to squeeze in 3 low intensity steady state walks on these three days during the lunch break. It was good to get moving even if only for 30 minutes because I was sitting all day in the sessions. I started on Monday morning with a nice yoga session with Yoga Girl before the conference and I did one of the bodyweight HIT workouts from the coach on Tuesday morning before heading back to the conference for the second day. It was good to do them in the morning because the conference was until evening and I was so tired afterwards that I just had dinner and crashed to sleep. I did the other bodyweight HIT workouts on the rest of the days and I added two weight training workouts too right after the bodyweight workouts because I still had some power left. The Freeletics Gym workouts are short but oh so exhausting, a great finisher. The bodyweight coach did not take it easy on me this week and I had some pretty tough workouts but I feel like I am getting stronger every day and I am earning personal bests on most of the workouts. I planned to do Kayla Itsines Summer Sweat Series Week 3 workouts this week but I just wasn’t really feeling it so I did Freeletics Gym instead. I don’t want to force myself to do workouts that I don’t really want to and lose my motivation eventually. 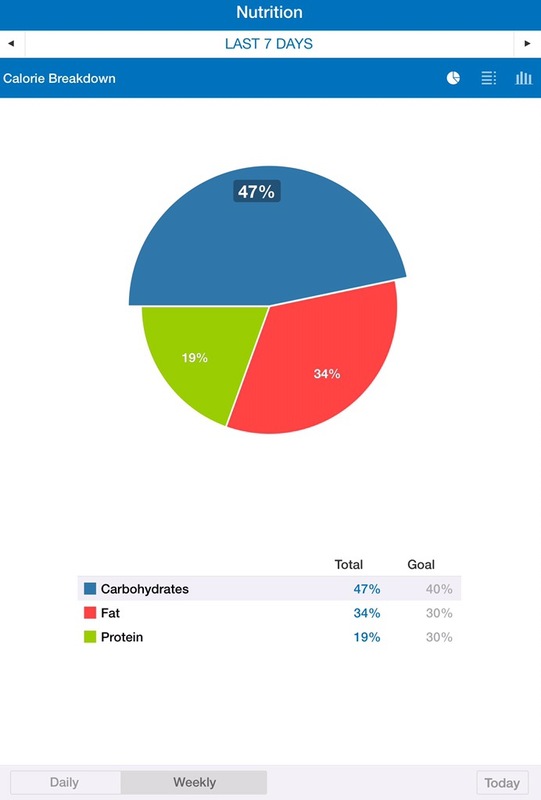 Stay at the same calories and macros like this week: 40%C-30%P-30%F. Hit my calories and macros. As predicted nutrition has not been the best this week. The food at the conference was OK-ish but definitely not the healthiest. Breakfast and snacks were usually pretzels, sandwiches and sweet pastry that I tried to avoid but sometimes failed. Lunch was good on Monday with rice, chicken and veggies but pretty bad on the other two days so I jsut had some veggies from the side dishes. Again I did not hit my total protein goal, I had too much carbs and fat. I also went over my daily calorie goal on a couple of days but I managed to compensate for most of it on the rest of the days. My nutrition has started to slip in the last couple of weeks and this is starting to show in the progress. I did some damage control because of the conference in the second half of the week but it just wasn’t enough. Nevertheless progress is not linear, weight fluctuates throughout the month so I’m still happy with my results so far. Adding a bit more cardio and planning to be extra careful with my diet in the next 2 weeks to finish the challenge strong. Meal prep and cook at home every day. 5x HIT workouts with Freeletics Bodyweight.